Each Saturday, Farhad Manjoo and Mike Isaac, technology reporters at The New York Times, review the week’s news, offering analysis and maybe a joke or two about the most important developments in the industry. Farhad: Hey, Mike, we swapped places! You were visiting San Francisco this week, and I’m visiting New York. I miss the Bay Area. I swear I haven’t heard a single person talking about valuations all week. What a weird town this is. Mike: I shoveled $4 toast down my throat and am pretty sure I’m now a unicorn. Farhad: That sounds amazing. So, it was kind of a slow week in tech. Apple released iOS 9, its new mobile operating system, which — because it lets users block web ads — sent media people into a frenzy. 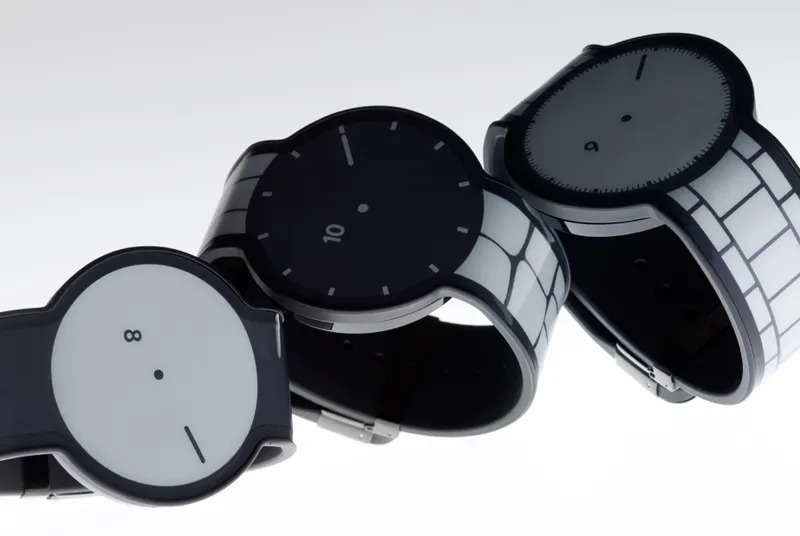 Apple also delayed releasing new software for its watch, citing an unspecified bug. Amazon unveiled a few supercheap tablet computers. You can buy a six-pack of Amazon tablets for half the price of an iPad — the nerd version of the six-pack, I guess. Mike: That sounds awful. I require at least a baker’s dozen. Farhad: In nondevice news, the ride-hailing company Lyft made a dealwith the Chinese ride company Didi Kuaidi. (That’s so fun to say!) Should Uber be worried about this? Mike: Yes, but not for the reasons you think. This is a whole article’s worth of discussion, so I’ll save that for a later day. Let’s get on to what you really want to talk about. 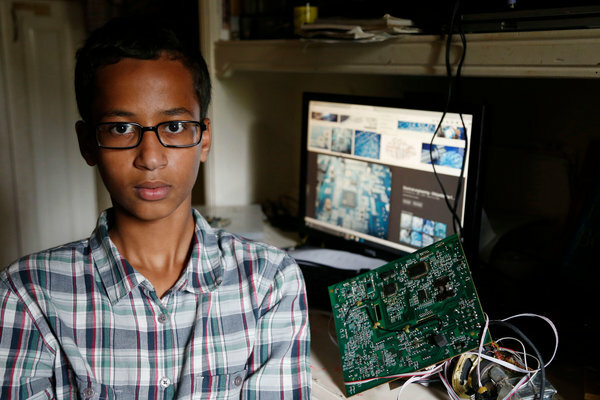 Farhad: Cool, let’s talk about Ahmed Mohamed, the 14-year-old boy in Texas who was detained for bringing what authorities called a “hoax bomb” to school, which — as Ahmed repeatedly tried to explain to his teachers and the cops — was actually a pretty cool homemade electronic clock. To me, this story highlights the power of social media to turn what would have been an otherwise unknown local issue into a moment of contemplation for the whole country. Because a few Twitter-savvy bloggerspicked up the story and shared it widely, Ahmed quickly became international news and was applauded by Hillary Clinton, Mark Zuckerberg and President Obama. We get down on Facebook, Twitter and other social media stuff because they so often distract and offend us, but I think we should be heartened, too, by their awesome power to impose a kind of righteous social justice. Right? Mike: I will admit, I participated in the “slacktivism” of the Ahmed uprising with a handful of tweets. And, on the whole, I think that Twitter, Facebook and whatever other social avenues that helped raise this to the surface were acting as a net positive force in the world. I mean, after experiencing xenophobia disguised as vigilance, this teenager is having the best week of his life. I’ll be shocked if Ahmed doesn’t have a record deal by the end of the month. So yes, this was a good thing. This boy was wronged, and the support of millions of strangers helped rectify that injustice. But I have to be Debbie Downer for a second. The problem with social media and the power of crowds is one of context: Often, we’ll see a quote or a tweet floating around the Twittersphere and divorce that quote from its original circumstances. Justine Sacco, who made a joke in very poor taste on Twitter and has spent the last few years paying for it, is perhaps the best example. Even heroriginal detractors came to understand that irony and sarcasm divorced from context and condensed into a widely circulated tweet can become one’s downfall. To be clear: What happened to Ahmed was wrong, regardless of context. But my greater point is that online mobs are insatiable in their rush to deliver justice, and more often than not, that justice can itself be unjust. Farhad: Eh, sure, social media mobs sometimes go a little nuts. That’s life! It’s impossible to determine how often online mobs ruin people’s lives versus how often they draw attention to more legitimate causes like this one. But, by my totally unscientific examination, it feels as if we’re seeing social media’s power being used for good more often. Think about all the instances of supposed police abuse that have gained widespread attention in the last year — I suspect that many of these stories wouldn’t have been heard without these networks. There’s another thing I wanted to touch on with Ahmed. One reason this story took off, I think, is that the nerds who first shared it identified with Ahmed. They, too, were tinkerers as children; making novel, weird stuff has long been the first step to a career in tech. Perhaps one of the bright sides to this story is that it might ignite some young people’s interest in making stuff. I hope a lot of high school students go out and make Ahmed’s clock — as an article in Popular Mechanics put it, we need more Ahmed Mohameds. Mike: A resurgence of the “maker” middle class, all because of a tinkering adolescent! All I did was make a lame potato battery in middle school. I’m sorry your son is such a disappointment, Mom and Dad. On that note: Till next week, then? Farhad: Yep. I’m going to go teach my children how to build a clock.